As the renewable energy industry has developed, we’ve increasingly found ourselves asked to address specific training goals and knowledge gaps within particular companies. We’ve also found these same companies often have multiple staff members who need to arrive at a uniform level of knowledge. For this very reason, we created our in-house training division, whereby we can deliver customised, tailor-made courses across the renewable energy sector, whether it be in solar, wind, storage, tendering or finance. This course will enable you to understand the components of power purchase agreements, their context of the wider contractual framework and insurance package and look into the development of key negotiation skills. By their very nature, renewable energy projects come in all sizes and can be attractive in any country. Hence, financing models and structures must be adapted accordingly whilst risks must be considered carefully. and their supply chains, bringing new disruptive players into every sector. “Informative and eye opening for both beginners and experienced professionals alike." If you have an enquiry about our in-house training you can contact Business & Development Manager, Oliver Sawyer. Quintas Energy approached asking us to deliver a 2-day in-house near their headquarters in Seville. 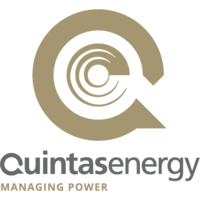 We developed a course that enabled Quintas Energy to develop their understanding of PPAs in order to optimize their management of them, gain more consciousness of risks and typical obligations and their respective weight/ consequences of non-compliance. IKEA Home Solar group came to us with the need to lift the techno-commercial knowledge base in the team, covering technology, planning, policy, profitability in residential solar markets. To learn more about disruptive business models, as well as factors that inhibit growth and scalability. We provided a 2-day course looking into the business and market environment for distributed solar + storage, with a particular eye on where it is going (rather than simply where it is now). BOEM (Bureau of Ocean Energy Management - US government entity), needed to develop their commercial and technical understanding of offshore wind projects for 20 employees. Two trainers went to their office in Virginia and delivered an ‘Offshore Wind Energy’ training for more than 20 BOEM employees. The training allowed BOEM employees to differentiate from renewable energy concepts, myths and realities as well as gain a deep insight into project planning, risk mitigation, viability and construction.